This summer I visited Prague once again. I have been here three times before. And I am convinced that I would like to come back here even more often. 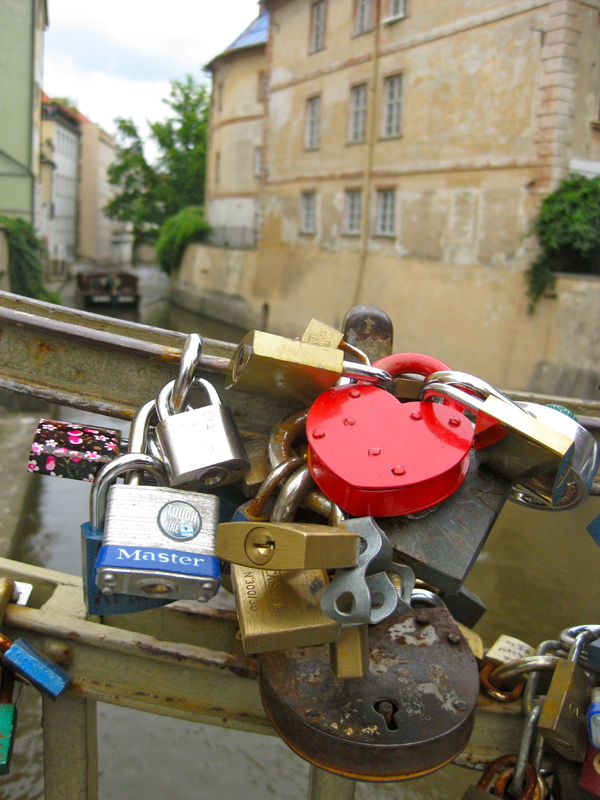 This Czech capital is the European gem that continues to surprise me over and over. Flight times were relaxed this time. Normally I choose early and cheap ones. But at very early hours I'm just often not myself and have little energy on arrival. The flight to Prague though takes a very short time. We would have all evening for the city. Unfortunately, the delay has taken away our evening hours in Prague. We arrived fairly quickly by using the public transport. The bus 119 goes regularly to the 'Dejvická' metro station, which is a terminus of the green line and which goes through the city center. 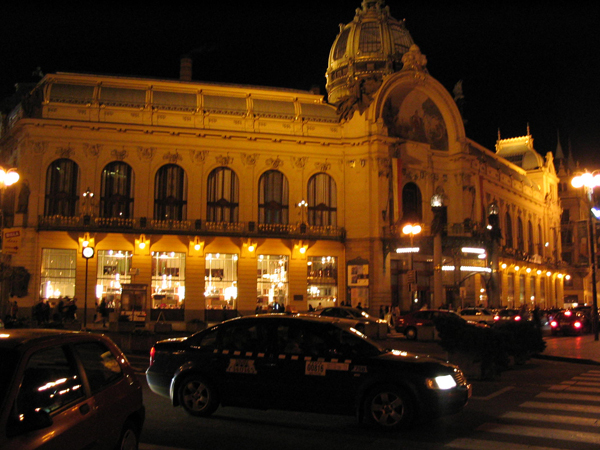 Traveling in Prague is cheap and easy, one ticket is valid for all types of transport. And it is not a huge city, therefore everything is relatively close. Within an hour we arrived at the hotel. I was worried that due to our late arrival, the room would have been cancelled. Fortunately it did not happen, we checked in successfully and went down town to grab a bite. Just before midnight it seemed almost impossible to get something to eat. One kitchen after another closed and our quest for food became more and more desperate. But then suddenly I remembered a “No Reservation” episode where Anthony Bourdain recommends a place where people eat at night. It turned out to be an incredibly good tip! At Wenceslas Square I found this particular food stall where you can get a wide range of meat and baked cheese for the vegetarians among us. It's an ideal alternative to get rid of the hunger when all restaurants of town have closed their doors. 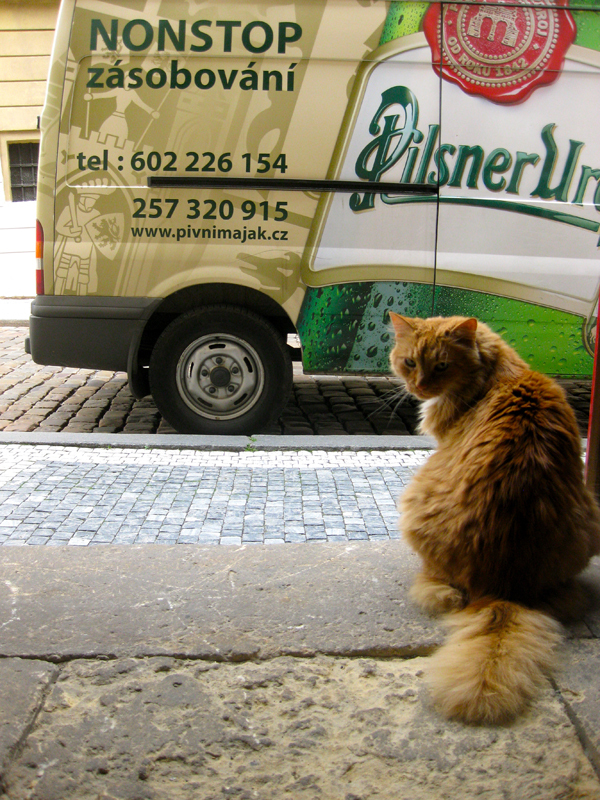 We conclude this short evening with a delicious Czech pilsner and went to the hotel to regain strength for the next day. We started at Mala Strana. Basically we skipped the most popular sites and went for the hill point Strahov. Climbing up that hill is absolutely worth for one of the most beautiful library in the world and a splendid view of the city. The library has two different halls. 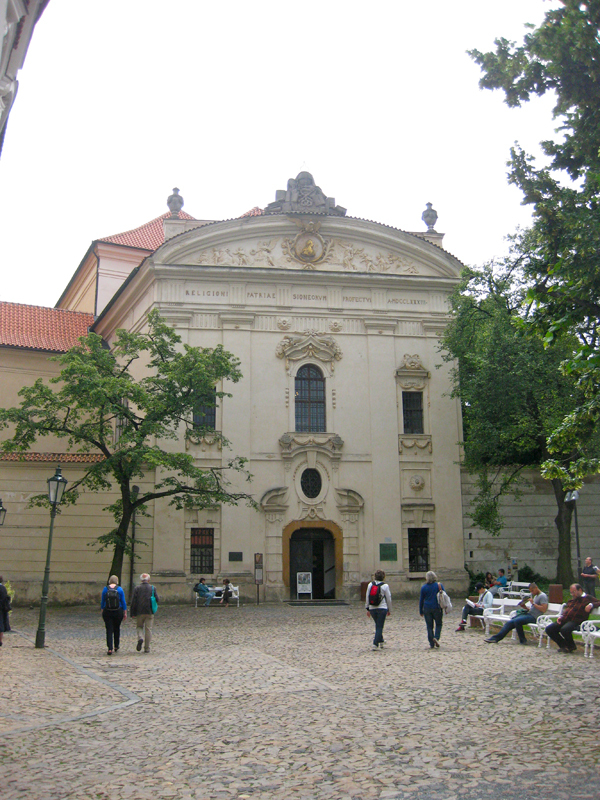 The theological hall is recognizable by it's playful Baroque style. The other one is philosophical with the beautiful, tall, wooden cabinets and a high ceiling. The corridor that connects the halls is filled with the voyage collection from overseas, 17th century turtles, a stingray, weapons and more. Outside we enjoyed the view a bit before going back down town. 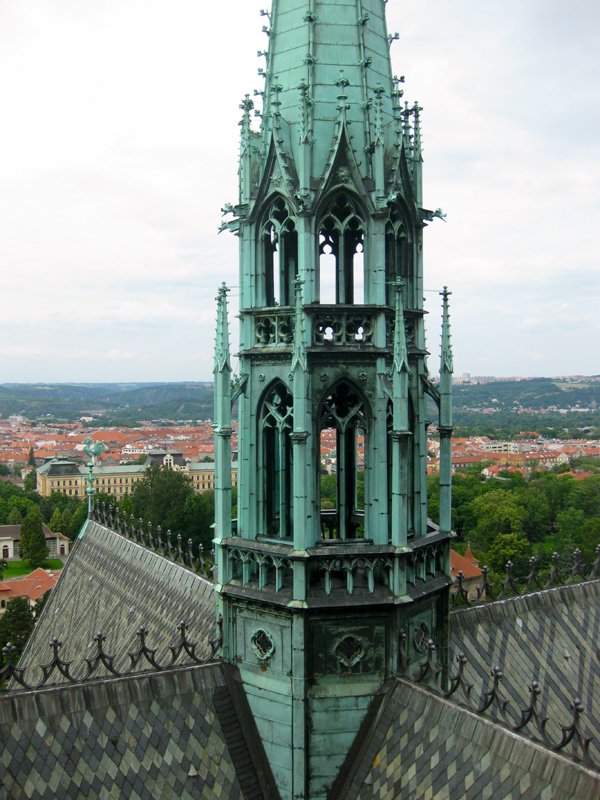 The best panoramic view is probably the Renaissance tower of St. Vitus cathedral. When we arrived there, the church was already closed, but the tower was still accessible. It takes some effort to come up there, but the view is a magnificent reward! Every time I was in Prague, I climbed this tower. It has become a tradition and I could not skip it this time either. The spiral staircase is dizzying and seems endless. The best way to walk up is without a break. Just don't do it too fast, unless you're in a hurry, of cource. Mala Strana was extremely crowded around the St. Vitus. Nearby were some medieval games or workshops which attracted much attention. We left this town site by strolling along the river. 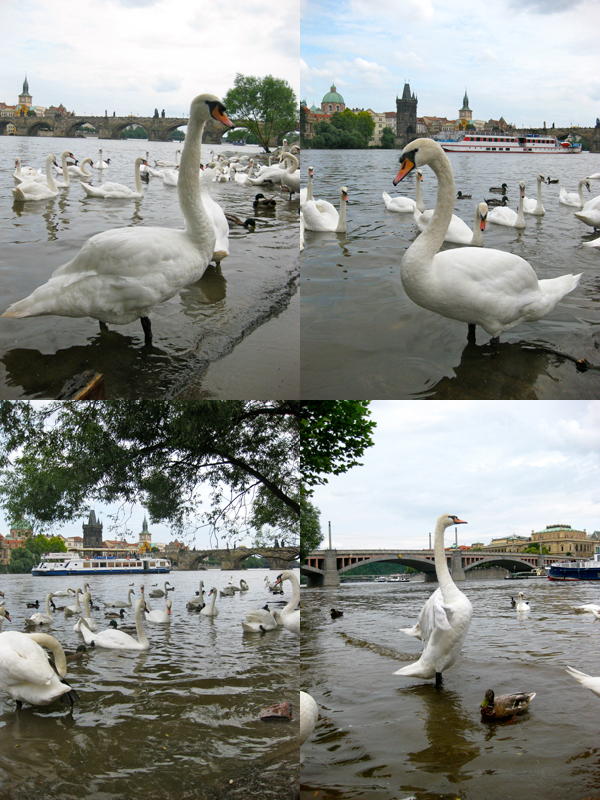 Next to the Karlov bridge a large group of swans was hanging out or probably they were used to the tourists that passed by and gave them snacks. Still it was a nice combination of nature with ancient history of Prague in the background. Then we arrived at the famous 'baby' statues next to the Kampa museum. This part of the town is actually very pleasant, green and quiet. 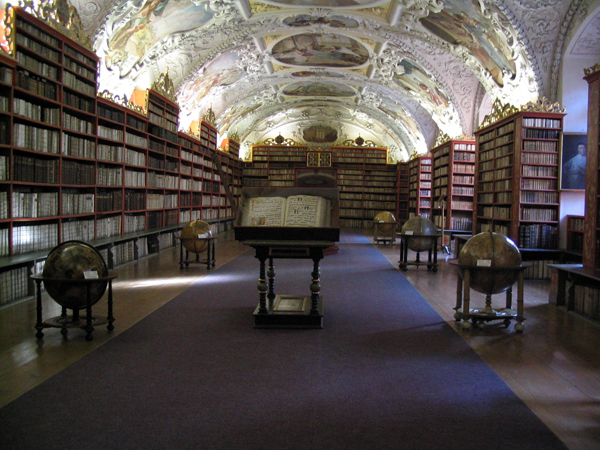 For those who love Prague, but want to skip the tourist crowds this spot is their place to be. About seven years ago I was together with my husband in Czech Republic and we were searching for little town Moravsky Krumlov, 'known' for it's Slavic Epos exhibition. This oeuvre of Czech artist Mucha was only accessible on particular months of the year and the town was almost untraceable. It was a ghost town basically. We were the only foreigners, other few visitors were Czechs, all of them came temporary just for Mucha and then they would leave Moravsky Krumlov as fast as they could. Today it takes a lot less effort to see this exposition. In fact that same Slavic Epos moved to Prague's Veletržní Palace. I wasn't thrilled about that news first, even though the exposition was way easier to locate. My big fear was that Slavic Epos would lose that special and mysterious aura from Moravia. To my surprise, this new venue was almost perfect. The given hall was spacious with good lightning and all twenty paintings came to their best advantage. Perhaps the location was less unique, but Slavic Epos was just as moving as it was seven years ago. I loved it. Veletržní Palace is located next to a metro station, red line comes to that area. We travelled to the opposite direction: Vyšehrad. 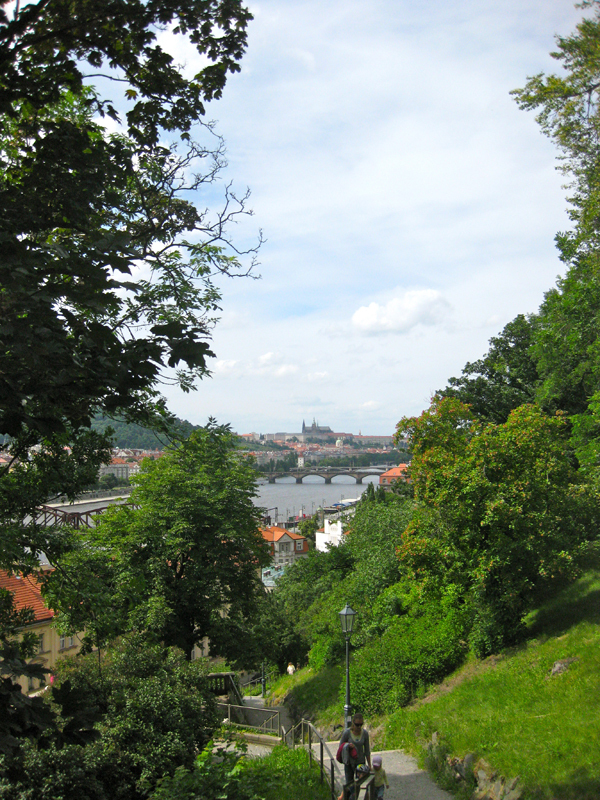 That's a nice neighborhood on the hill which overlooks Vltava river, Mala Strana and ofcourse the St. Vitus cathedral. 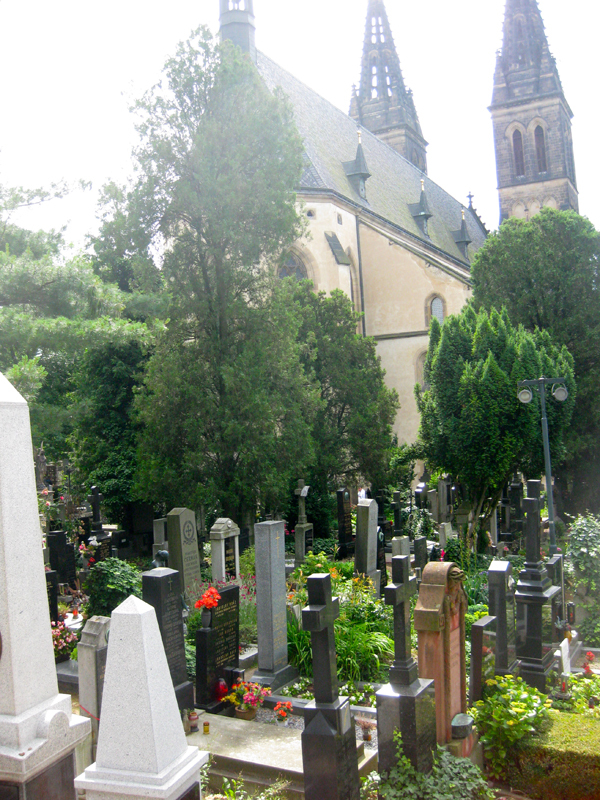 Vyšehrad is often skipped by tourists and therefore it's also a nice area to walk around. And even here you'll find interesting sights. 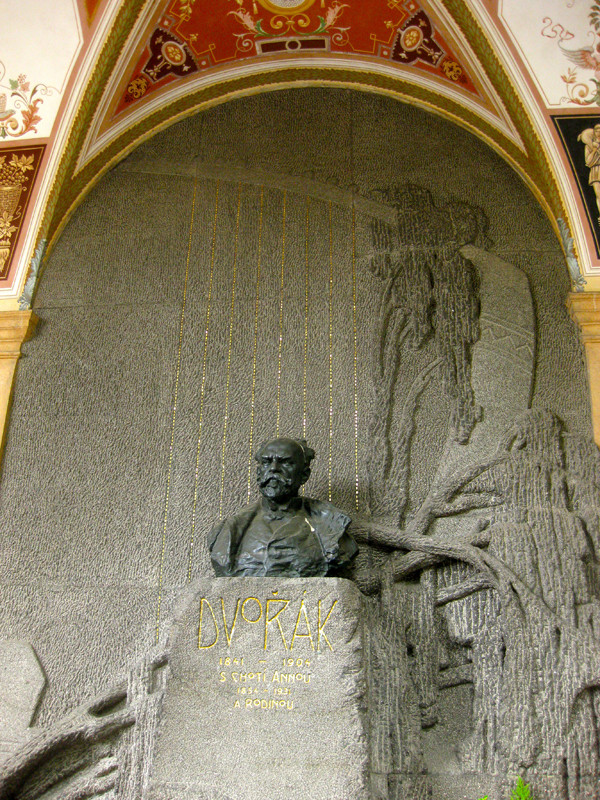 The most famous one is the cemetery with local celebrities like Smetana, Dvořák and Mucha. The first two we found easily. Mucha's grave was 'hidden' in the so called wall of fame: Slavin. It was just a small and basic tomb while I was expecting something in Art Nouveau style. 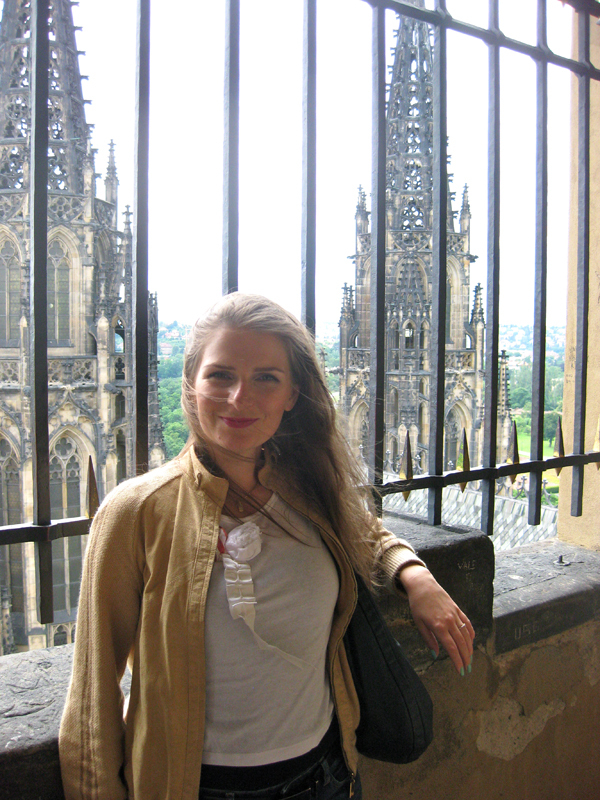 On this day I rediscovered Prague by getting to know two new neighborhoods. Prague is so much more that astronomical clock and Karlov Bridge. Evidently I knew that, but todays walk was an absolute confirmation. Before we returned to the airport we visited the Obecní dům. This remarkable Art Nouveau building is used for all kind of art disciplines. We visit another exhibition of Mucha here. 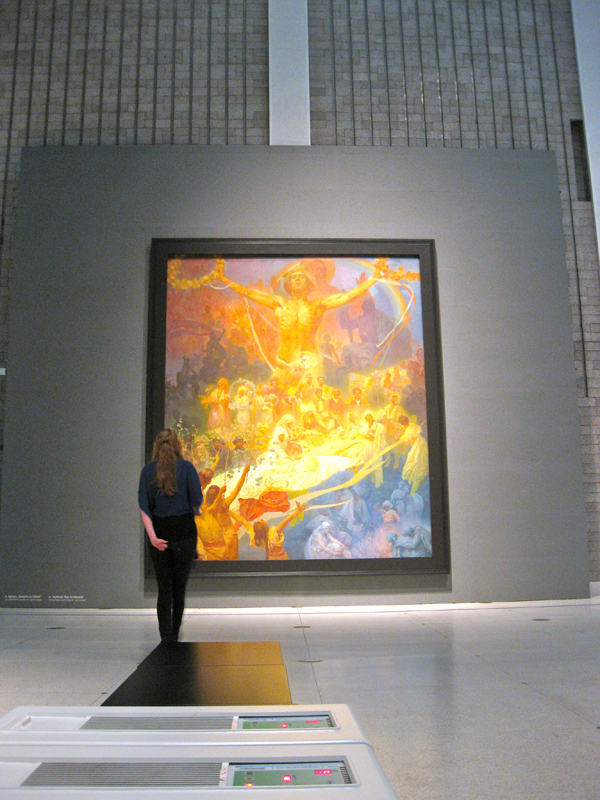 For those who have seen Mucha expos previously, it will have no particular surprice. For me this was just an excuse to check the building from the inside. The best rooms are only visible with a guided tour, I understood. That then remains for the next time. Regardless of the lack of surprise at the exhibition, Muchas posters remain a joyful and inspirational experience. And so was the entire weekend. Prague is such a fantastic, rich and vibant city. It's an inexhastible source of inspiration and one of the most beautiful places of Europe. Prague, we'll see each other soon!